The Schiacciata alla Fiorentina is certainly one of the symbols of carnival in Florence. 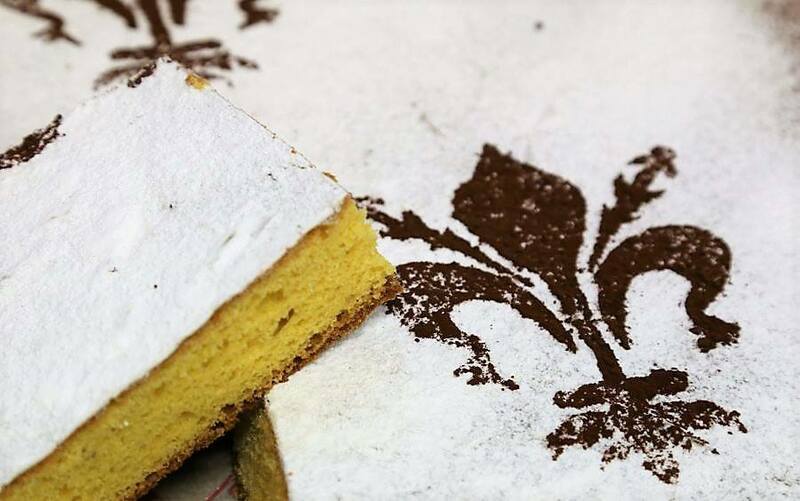 With flour, sugar, eggs and milk, this traditional Florentine cake evokes memories of mum’s simple, homemade cooking, yet soft and savoury, it is sure to amaze your taste buds. 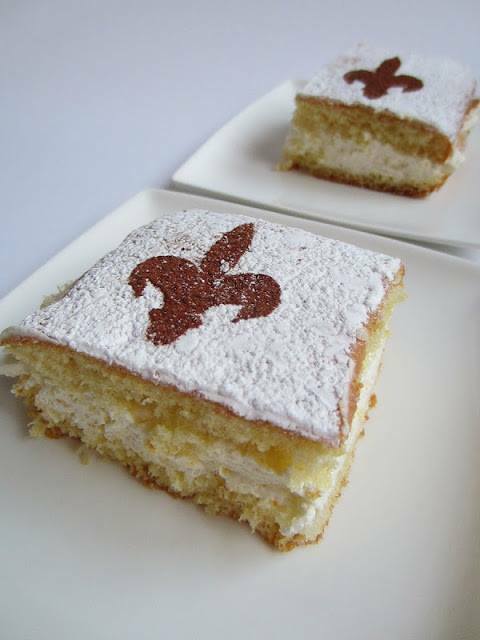 A sweet delicacy of the carnival period, this cake is mainly prepared in Florence. Its origins are lost in the mists of time. There is, in fact, no precise birth date, for this cake. The only thing we are certain of is that it is an ancient recipe and that its poor and simple ingredients, yet full taste, indicate it to be deeply rooted in the local cooking tradition. The ritual of preparing the Schiacciata in a precise period of the year goes back to the tradition of cooking ‘fatter’ dishes before the ‘leaner’ Lent that separated Carnival from Easter. 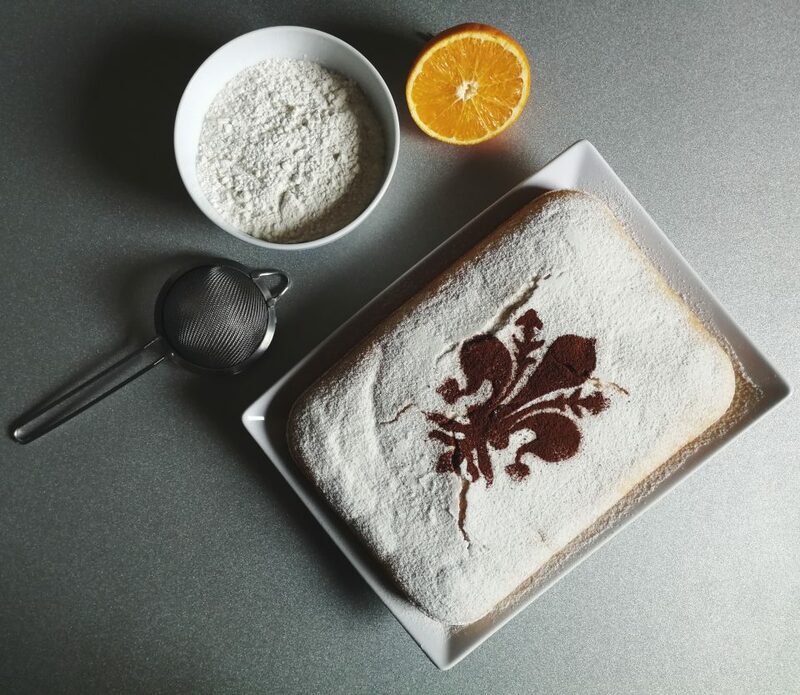 However, today the Schiacciata alla Fiorentina is a cake that can be eaten all year round. In the original recipe, the fat ingredient was lard, or even pork crackling, and for this reason the cake earned the term “Stiacciata Unta”, the ‘greasy’ schiacciata. Nowadays, one uses butter or, for a lighter touch, Tuscan extra virgin olive oil. 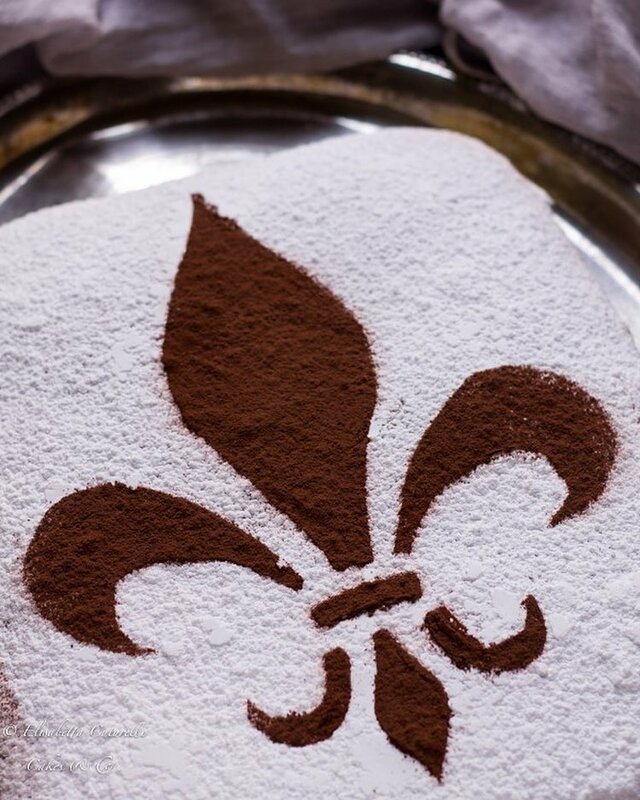 How ever it is made, it is of primary importance that the cake never grows more than 3 cm in height and be covered in icing sugar and the Florentine fleurs-de-lis, the crest of the city of Florence, be recreated with cocoa powder in its centre. 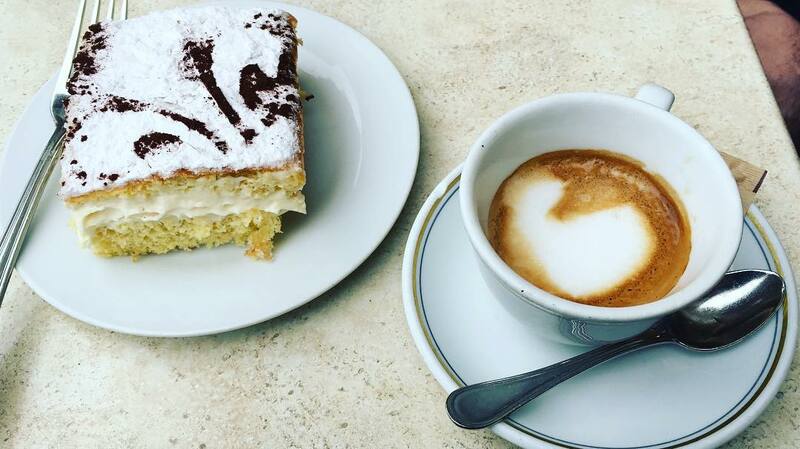 So why not sit back and enjoy a soft slice of Schiacciata alla Fiorentina with a glass of sweet vinsanto or a hot cup of cappuccino? Questa voce è stata pubblicata in Florence, Italian food and wine, Tuscan food and wine, Tuscan traditions, Tuscany e contrassegnata con Carnevale di Firenze, Schiacciata alla Fiorentina. Contrassegna il permalink.